Well the last two weeks have been somewhat busy, thanks to the holidays, so I didn’t get too much reading time. 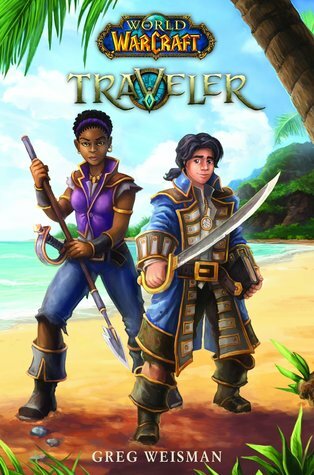 I did finish World of Warcraft: Traveler and I have to say I really enjoyed this one. 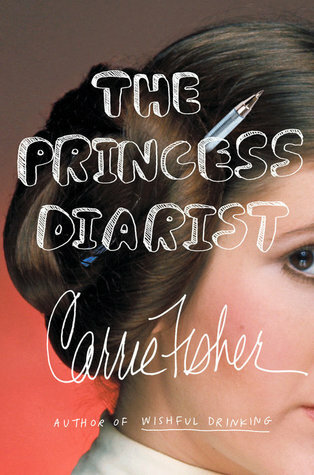 I’ll be posting a full review of this book in the new year. We finished off our Christmas movie marathon with Olive The Other Reindeer and Rudolph The Red-Nosed Reindeer. While we didn’t watch all 25 movies we had intended to get through, we watched most of them, so that’s good. I also tried to catch up on a few things on the PVR, which involved some episodes of The Incredible Dr. Pol and Alaska The Last Frontier. We also started back up our weekly Family Movie Night, this week we watched Josie & The Pussycats, which we all enjoyed a lot. With the boy off of school and the holidays happening, the last two weeks were busy but good. Lot’s of time spent together, whether it was watching movies, playing video or board games and also helping the boy put together the many Lego sets that he got for Christmas. It was also extremely cold for nearly a week, so we spent most of our time inside, which didn’t bother me, since I’m not a fan of going outside in the winter, whether it’s mildly cold or extremely so. I also have been working on organizing my book shelves so that all my priority books for the new years are together. I did play quite a bit of World of Warcraft over this time, because honestly what better thing to do on a cold day, plus with the Winterveil event going on, I wanted to make sure I got all my achievements for it before it ended. Another thing I accomplished was lots of blog work. I had so many reviews to catch up on and posts to get ready for the new year and I’m glad I managed to get it all done. It’s a new year, which means it’s time to start tackling my 2018 to-be-read list. I haven’t quite figured out what my first read will be, but whatever it is, I will end up starting it later today. Much like with my books, I have quite a large to-watch list for the year, so I will be working on going through that as well. I will likely start with some things on the PVR and a couple of movies and then later, if I have time this week, start on watching some series as well. I have a feeling my time will be equally dividing between spending time with family, playing World of Warcraft, reading and watching TV/movies. I’ve never played World of Warcraft. It sounds addicting. Come see my week here. Happy New Year and happy reading! It can be very addicting. I’ve been playing it for close to 11 years now, and the game itself has been out for 13. I would agree, some video game time is perfect for a winter’s day! Glad you’re having a good break, and happy New Year! Video games are great. Honestly, there are so many great indoor activities to go in the winter, but I tend to go towards either video games or books. Which is fine, because I enjoy both. Happy New Year to you as well! I haven’t watched anything for about a week. We had guests over and our futon couch was the guest bed. No couch, no TV. Happy New Year. Come see what I’m reading. Sometimes having a no TV week is a good thing. Nappy New Year to you as well!